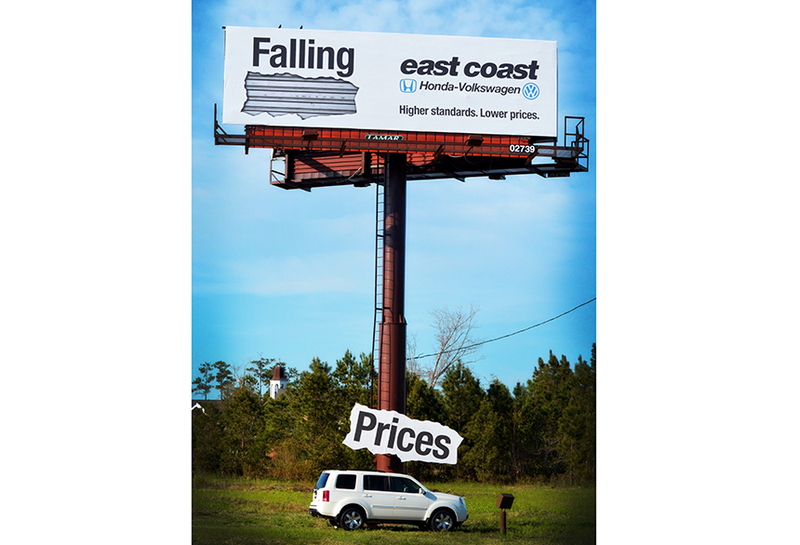 The East Coast Honda-Volkswagen dealer used a unique 3D creative to advertise their ‘falling prices’. Lamar helped this dealer ship create an eye-catching bulletin billboard. By parking one of their cars at the bottom of the board and creating the illusion that the word ‘prices’ was falling on to it, this bulletin became humorous and noticeable.